False nails come in two types; extensions and overlays. Which you choose depends on whether you want additional length or strengthening and long lasting colour. Nail extensions, also known as tips, are made from lightweight plastic and are cut to the shape of your nail. These are glued on to your own nails and overlaid with acrylic or gel to secure and finish. 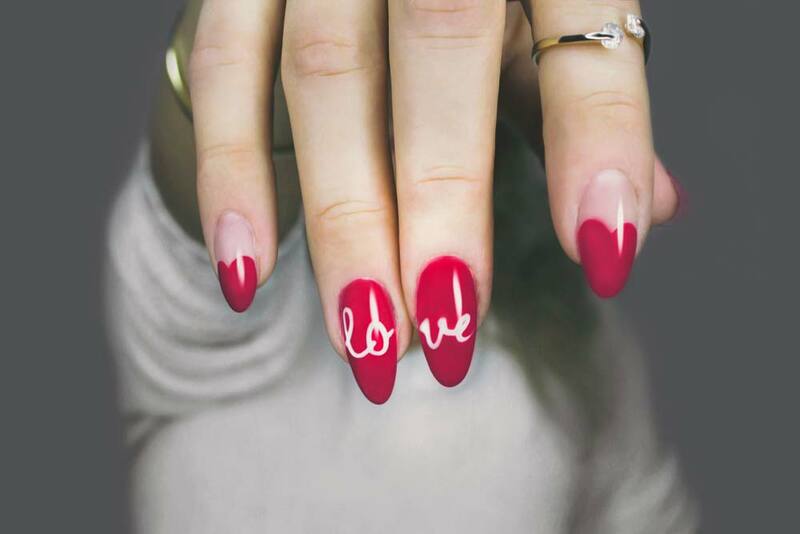 Overlays skip the extension step with acrylic or gel being applied directly onto your natural nails and shaped before being buffed to create that glossy effect. Great for anyone with nails lacking in natural wow factor. The Gel we use is called Gelish, much the same as shellac, just a different brand name, which comes in an array of colours. For anyone that isn’t familiar with gel, gel is a very convenient easy way to keep your nails looking well groomed and polished for a long period of time without the worry of chipping or breaking nails. Gelish stays on for 3 weeks with no chipping or peeling. Gelish makes nails beautiful, flexible and stronger, naturally. It applies like polish, instantly dries and soaks off clean in 15 minutes. Long wearing and chip proof, your Gel treated nails will keep their well-manicured look long after application. Gel dries instantly under a UV/LED curing lamp in your choice of colour, so there is no need to wait for drying or panicking about smudging. Gel is a nail treatment applied as a coating to your own nails to strengthen and condition them with no damage to your natural nails. We also offer SNS nails, SNS is for healthy nails, unlike gel or acrylic. SNS are much thinner, light weight, and helps your nails grow out stronger and healthier by adding 5 different kinds of Vitamins and Calcium.